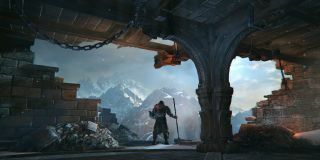 If you've got an appetite for punishment and a copy of Lords of the Fallen sitting in your Steam library, the game's forthcoming story expansion will release on March 4, or March 3 in Europe and Australia. Dubbed Ancient Labyrinth, the DLC pack will take Harkyn to "a long-forgotten library that exists somewhere between the human and demonic realms". Developers CI Games and Deck13 Interactive promise new enemies, weapons, shields and armor in your quest to "destroy evil" (y'know, blowflies, bathroom mould, software updates), as well as the potential for multiple playthroughs. Lords of the Fallen 2 is in the works too, in case you missed it.